Victoria Beckham has shown her support for the fight against AIDS by designing some limited-edition items to raise money for the cause. Coldplay have revealed the exuberant, chimp-led music video for Adventure Of A Lifetime, the first single to be taken from their upcoming A Head Full Of Dreams album. A stellar line-up of rock royalty attended the Classic Rock Awards to celebrate what has been an incredible 12 months and Music-News.com was there. Singer Carly Rae Jepsen had a total meltdown on her 30th birthday which involved her crying and sleeping most of the day. San Francisco’s The California Honeydrops gave Sydney something to remember this week when they took the show on the road … literally. Sean Kelly of Models and Dave Stewart of Eurythmics join Noise11 iHeartRadio this week. Archie Roach will play a second Thornbury Theatre show in Melbourne after declaring the first show a sell-out. Singer songwriter Ron Sexsmith will wrap-up his current Australian dates with Melbourne shows this weekend followed by a Festival appearance on Sunday. Stage shy Adele is going to tour. Flaming Lips rocker Wayne Coyne believes Miley Cyrus could simply stand on stage and her fans would cry with happiness. Tame Impala have released a new video for 'The Less I Know The Better' from the album 'Currents'. Drake is keen to take Adele up on her offer to do a remix of Hotline Bling, admitting he loves the singer so much he'd even "do laundry for her". One time Triple J Unearthed performer Ayla has evolved to Triple J Like A Version status. The Vamps, David Guetta & The Amity Affliction repacked, So Fresh & 100% Hits Best of 2015, Goo Goo Dolls, Jethro Tull, Placebo and Mandy Kane lead this week's new music released. Legendary musician Ringo Starr is "beyond blessed" to still be married to wife of nearly 35 years Barbara Bach. 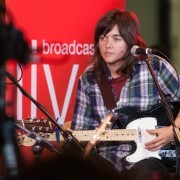 Tame Impala and Courtney Barnett were this years big winners at the ARIA Awards held in Sydney. 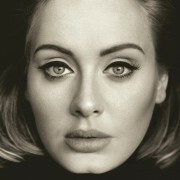 Adele ‘25’ has sold over 3 million copies in the USA and 210,000 in Australia in its first five days on sale to qualify as Triple Platinum in both countries. Things of Stone and Wood have one show only scheduled for 2015 and it is coming up in December. The stars of 'N SYNC have saluted Adele for breaking the boy band's 15-year single-week album sales record. 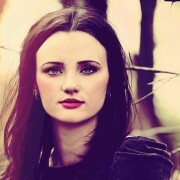 Port Fairy Folk Music Festival has announced another 12 acts. Barbra Streisand and Steven Spielberg were among the 17 Americans honoured with the nation's highest civilian award at The White House on Tuesday (24Nov15). The judging panel for the Queensland Music Awards has been revealed. Drummer Julian Dorio has reached out to the French fans who helped usher himself and his Eagles of Death Metal bandmates to safety as armed terrorists opened fire during a show in Paris earlier this month (13Nov15). 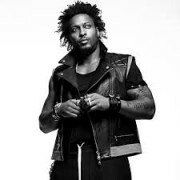 Bluesfest is heading for its most soulful season ever with the announcement that D’Angelo is the latest addition to the line-up. Queensland musicians have been awarded a one-week extension to submit their application for Arts Queensland’s annual Billy Thorpe Scholarship. Elton John plans to cut back on touring so he can spend more time with his two young children. Vance Joy will head out on his Fire and the Flood tour in April. Tom Jones doesn't plan on stepping off the stage until he's reached a century in age. Ed Sheeran thinks all musicians put on a front to fit in, claiming even Jay Z and Beyoncé prefer "dive bars" when they aren't working.